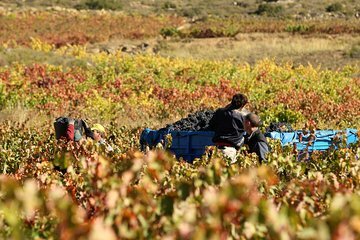 Join the magic of harvest season in stunning Rioja, Spain’s wine capital. On this exclusive small-group tour, you’ll go behind the scenes to master the secrets of the country’s oldest wine culture. Learn how to pick and sort grapes by hand in the idyllic fields, and crush juicy bunches under your feet using traditional methods. Tours end with an open-air gastro-picnic, complete with four Rioja wine tastings.